I'm sure you've all done it before. You know, closed your eyes and imagined what it would be like to win a lottery drawing as substantial as the $1.5 billion Powerball jackpot up for grabs on Wednesday. Sure, your odds are a minuscule one in 292 million, but that won't stop countless numbers of people from trying their luck in the hopes of changing their lives forever. And boy, winning that kind of cash would certainly be a life-changing event for everyone I know -- although I can guarantee you that they all have very different plans for what they would do with the money if they won. A car? A house? A couple of each? Donate some to charity? Maybe give $100 million to your city? Or perhaps your alma mater? Have a wing of a hospital named after you? Invest it in the arts? Or the stock market? The possibilities are endless. Having that kind of money -- what most of us commoners would refer to as "F-you" money -- affords one the ability to do things many wouldn't even imagine. For me, it was always the little things that went along with the big purchases that seemed the most intriguing. Of course I'd buy myself a big ol' house. But I wouldn't stop there. My new home would have a trap-door bookshelf that led to my office and entertainment room. And there would be a water slide. And a golf course. And every other thing you could imagine. Some people may have grander visions of what they'd do with the money however, and when it comes to the world of sports, you'd might be surprised at what you can -- and can't -- buy with that Powerball money. This isn't going to be as easy as you thought. First, let's take a look at just how much money you'd take home. In order to do this right, you'd have to take the cash payout. The annuity is typically the smartest way to go, because you get the full sum of money, just spread out over time -- 29 years, to be exact. And that will severely limit just what you will be able to do with that money. 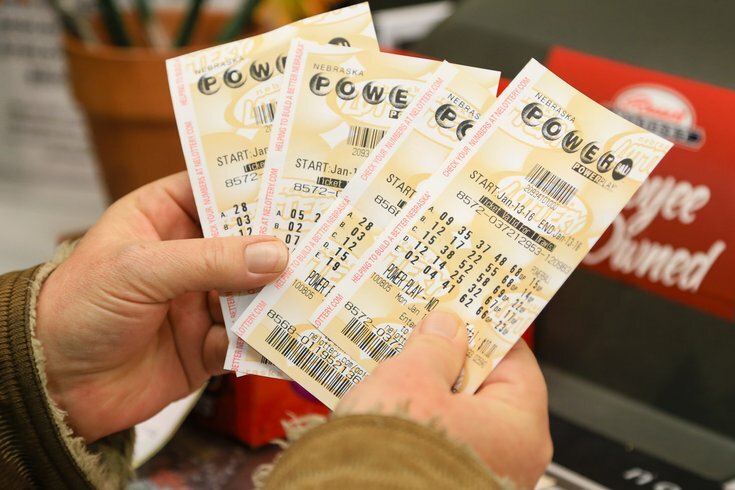 However, if you take the cash, you lose about 38 percent of your money and, in this case, walk away with just $930 million of the $1.5 billion jackpot. That's still more money that nearly all of us will see in a lifetime -- and, unfortunately, it's more than you'll see even if you win Wednesday's Powerball. About 40 percent of that will go to Uncle Sam, leaving you with about $558 million dollars. If you live in Pennsylvania (or California) and bought the ticket in-state -- or if you live in Alaska, Florida, Nevada, South Dakota, Texas, Washington or Wyoming -- you won't have to worry about state income taxes. The rest of you, prepare to fork over even more of your $1.5 billion jackpot, of which you now have slightly more than one third remaining. So let's say you don't have to pay state taxes, and after buying a new house (or two), a new car (or three), paying off all your student loan/credit card debt, and putting some in the bank, you have slightly over $500 million left. If you're willing to spend it all in one place, here are the teams that you can actually afford to buy. • NFL: None. The cheapest NFL team, according to Forbes, is the Buffalo Bills, valued at $1.4 billion, about a billion dollars less than the Eagles. And that's just their valuation, not what they would fetch on the open market. Given the rate of return on owning a pro team right now -- they're all making money -- no sane owner would sell for anything close to their current valuation. • MLB: Again, none. Forbes lists the Tampa Bay Rays' value at $625 million, about half the value of the Phillies. Getting closer, but you're still too poor. • NBA: Keep on looking. The cheapest basketball team -- the Milwaukee Bucks -- is valued at $600 million. And they were just sold in May 2014 for $550 million. The Sixers meanwhile, rank near the bottom of the league with a value around $700 million. And in case you're wondering, the next cheapest team -- the Pittsburgh Penguins -- are valued at $100 million more than the Oilers ($560 million). The Flyers, meanwhile, are even further out of your price range; they're listed seventh and valued at $660 million. • MLS: You'd be able to afford all of them, and still have plenty left over to buy more. Considering the Seattle Sounders are the most expensive at $175 million, you could buy them and a hockey team, if that's your thing. The Union would cost just $90 million to own. As for the four major Philly sports teams, you're out of luck. You could try to purchase a majority stake in one of the teams that you can't afford to buy outright. If you went that route -- assuming Ed Snider and Josh Harris were interested -- you'd be able to own at least 51 percent of two of the four major pro teams in Philly. If you really, really, really want to own the Eagles or the Phillies, your best bet is to take your winnings to Atlantic City and put it on black, although I don't know any casino that would take a $500 million bet on roulette. You may not be able to buy an entire team, but you will be able to put your name on almost any stadium or arena in the land. According to Sports Business Daily, there's only one stadium -- albeit without a team to call it home -- that would be out of your price range: Farmers Field, the proposed football stadium in Los Angeles cost the insurance company $600 million for the naming rights. The only problem here is that most naming deals are long-term contracts, and you'll likely have to wait until one of those deals expires to make your move. And by the time that happens, you could be priced out. Just like the value of sports franchises, the cost of naming rights continue to rise. That being said, there are still a few stadiums that aren't sponsored, like Arrowhead or the Georgia Dome. Since you aren't reaping the advertising benefits that go with putting your name on a stadium, this could be seen as a foolish purchase. But it would still be pretty cool. According to The Associated Press, the average cost to sponsor a bowl game is between $500,000 and $1 million, but that's only for the ones that take place prior to New Year's Day -- and certainly doesn't include the three games that comprise the College Football Playoff. But you could still afford those anyway. Last season, they ranged in price from $25 million to more than $30 million, according to the AP. If you have to pry it away from the current sponsors, it'll probably be even more than that. I'm not going to get into a debate here on whether or not college athletes should be paid, because that's not the point here. But if you wanted to pay them -- all of them -- you could afford to do that, if only for a year. According to the NCAA, there are about 460,000 student-athletes -- including Division I and II schools -- across the country. If the payout was scaled based on revenue each program brought in and how intensive the program is for the athletes, football and basketball would be the most handsomely compensated. However, this is not, and so the most fair way to do it is just break it up evenly among all the players. If you do it that way, you'd have enough to pay each college athlete $1,100 dollars and still have a cool $50 million -- of your original $558 million -- left over for yourself. Unfortunately, this would be a one-time payout as you wouldn't have enough to continue to pay them year after year. But hey, it's better than nothing. However, if you limit it to strictly Division 1 athletes -- there are 170,000 of them, according to the NCAA -- you'd be able to stretch those payments out over three years, assuming you cut the payout down to $1,000 per student-athlete. But that wouldn't necessarily be fair, considering D-I schools hand out more scholarships and have much larger athletic budgets than D-II and D-III schools. Oh, and in case you're wondering, the NCAA inked a 12-year, $5.64 billion deal with ESPN in 2012 to air the college football playoffs. That comes out to about $470 million per year and while it's likely the most they'll take in for any games, it's only a handful of the thousands of NCAA games that will air on television each year. And that's just the broadcast rights -- not even the sponsorship rights -- to a few games. There are countless other things you could do with the money; it all depends on what your personal preference is. Here are some other things that you could do with your half a billion dollars. GO TO EVERY GAME YOU WANT, IN STYLE: If you're trying to make the money last a little longer, you can spread it out by using it only when you need/want to. Fly out to the Super Bowl in a private jet? No sweat. Sit courtside at the NBA Finals or behind the plate at the World Series like this guy? Not a problem. Watch the Masters in VIP style? Hell, you can afford to be a member now. BUILD YOUR OWN GOLF COURSE: Tired of waiting on that slow group in front of you? Not any more. Golf courses can cost as much as want you them to cost, but can be built for under $10 million, so you have plenty of cash to build a golf paradise and continue to maintain it for years to come. SPONSOR A NASCAR: They might be more expensive than you think, ranging from $5 million to $35 million as of 2013, but that's nothing for you. DOMINATE THE SILENT AUCTION SCENE: There are always fundraisers going on that involve silent auctions full of sports collectibles and one-of-a-kind experiences. For example -- having dinner with a coach or players; a round of golf with a famous athlete; spend a game in the broadcast booth; and the list goes on. You could clean up at those things with this kind of disposable money -- and probably make a few enemies after outbidding people -- all while feeling pretty good about yourself. Not only do you get the tax write-off, but the money is going to a good cause. I could keep listing things, but I want you to tell me what you would do with the money. Feel free to leave your hopes and dreams in the comment section. And while I appreciate honesty, I don't think you need to be as honest as this guy.